An aerial view of Holy Island. 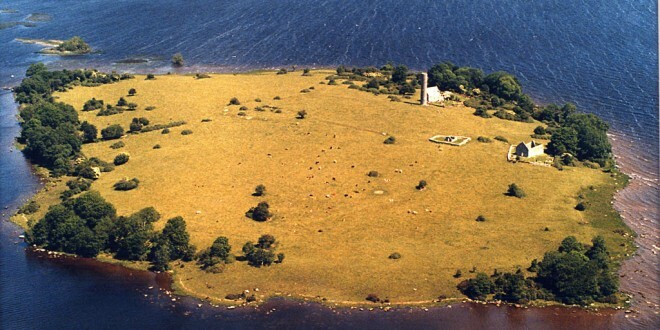 Clare County Council has announced a comprehensive plan relating to the future tourism development and visitor management of Holy Island (Inis Cealtra) on Lough Derg. 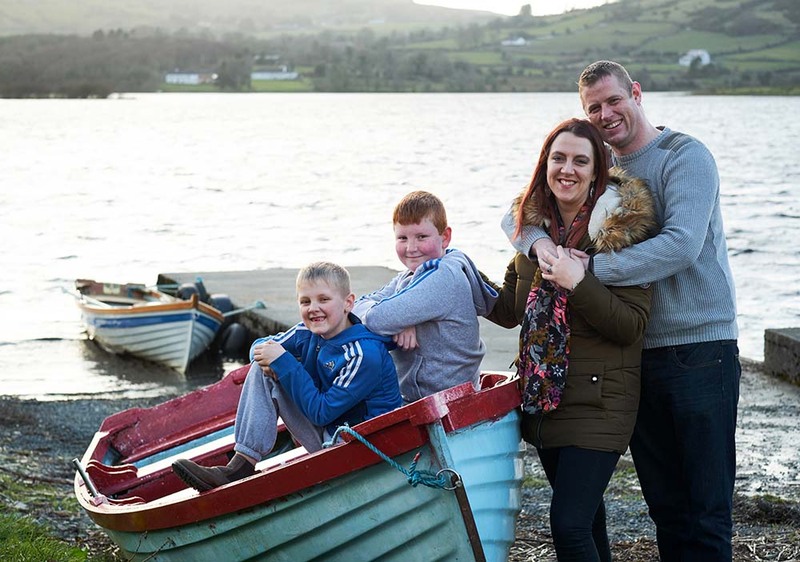 At a ceremony in Mountshannon today, the Local Authority confirmed it has acquired 41 acres on the island which, together with the two acres already in the ownership of the Office of Public Works (OPW), now means that the entire island is in public ownership. The Council also announced its intention to procure professional experts to prepare a Visitor Management and Tourism Development Plan for Holy Island which will provide a framework, in consultation with key stakeholders, for tourism development and visitor management of the Island, whilst also ensuring the cultural heritage and natural assets that contribute to the Island’s uniqueness are maintained and protected. Still used as a burial ground, the ruins and buildings still standing on Holy Island date back as far as the 7th century when the monastic site was established by St Caimin. 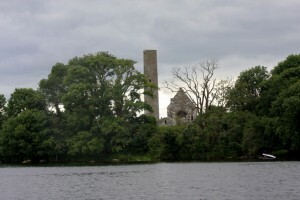 Buildings on the island include a 24-metre high round tower, an oratory, and a number of churches. 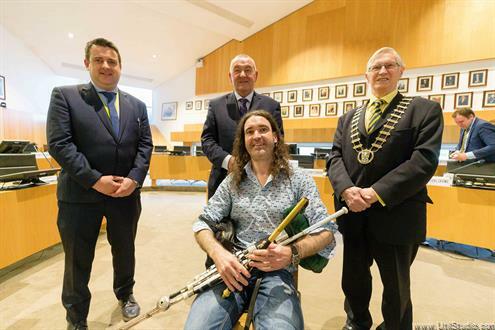 “It is the jewel in the crown for East Clare and I am delighted that Clare County Council has now concluded the purchase of 41 acres on the Island so that the Island is now in public ownership,” he said. The purchase of the Island has been funded by Clare County Council from its own resources and additional funding towards the production of a Visitor Management and Tourism Development Plan has been provided by the Lough Derg Marketing and Strategy Group. 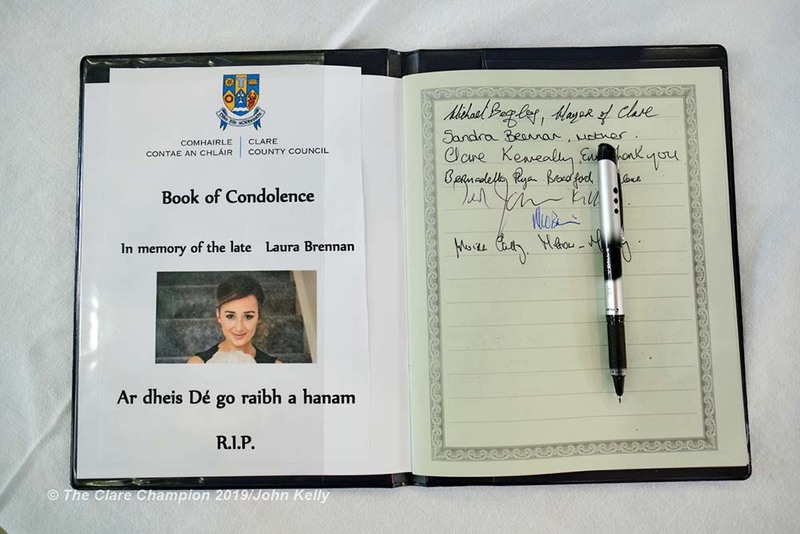 “Clare County Council has invested significantly in tourism product at the Cliffs of Moher, the Burren, Doolin, Loop Head and now we have a tremendous opportunity to make available one of the most important monastic sites in Ireland to a wider audience,” stated the council’s chief executive, Tom Coughlan.